Sophie van Loon joined Kennedy Van der Laan in 2008. Her practice focuses on media and tech companies, with an emphasis on copyright and technology protection. She has wide experience in complex proceedings. 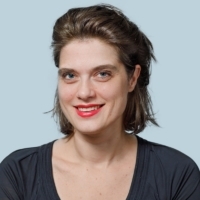 Sophie is also active in the academic world: she obtained a doctorate from Radboud University with a dissertation on IP and competition and publishes and lectures regularly in her areas of expertise. She is a member of the editorial staff of AMI (the professional journal on Copyright, Media and Information Law). Legal 500 2019 – Intellectual Property – Tier 2. Kennedy Van der Laan’s counsel Sophie van Loon has a focus on copyright law and advises international media and publishing clients.